CARLSBAD, Calif. – (November 28, 2017) – adidas understands that the life of a golfer doesn’t always begin at the first tee and finish on the 18th green. 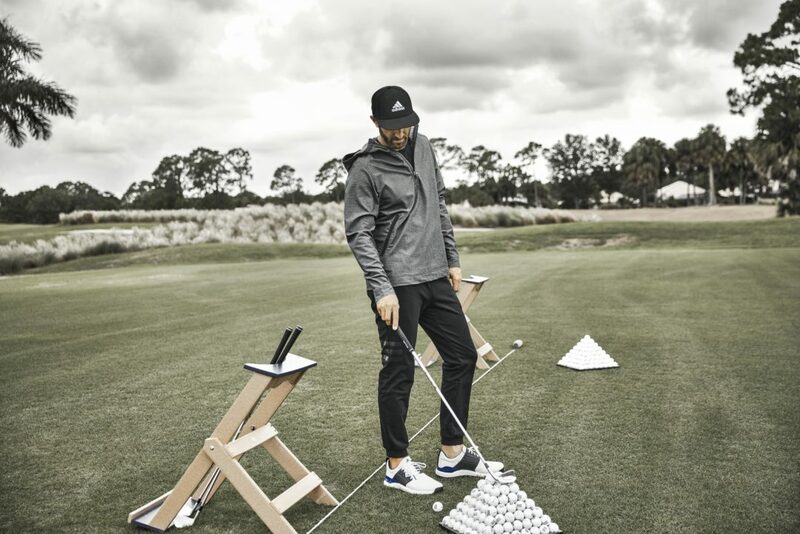 Based on that insight, today adidas Golf is introducing a new on- and off-course line extension – adicross – which features urban-inspired and non-traditional apparel and footwear specifically designed for the lifestyle of the modern golfer. The new adicross apparel line, available December 1st at select retailers and on adidas.com, is highlighted by Anorak jackets, Henley shirts, hoodies and joggers. The introduction of an Oxford brings a fresh take on a classic piece, featuring the stretch and flexibility needed on the range or course. Each piece in the adicross line is designed to be adaptable; helping golfers transition back and forth from the first tee to their everyday lives. To complete the head-to-toe look, adicross also pushes the boundaries with new footwear, led by the adicross Bounce available January 1, 2018. The adicross Bounce features an ergonomic fit, offset wrapped saddle with multiple eyelet rows for customizable lacing, and a non-marking adiwear™ rubber spikeless outsole that features 181 strategically-placed lugs for optimal grip that are green-friendly. Additional adicross footwear styles will be released in February 2018. For more information on adicross, visit adidas.com.